The New South Wales government claims that Sydney will soon enjoy the “world’s most advanced transport management system” that will use real-time information and predictive technology to reduce congestion. The government today revealed details of a $123 million program to help “future proof” the city’s transport management system. 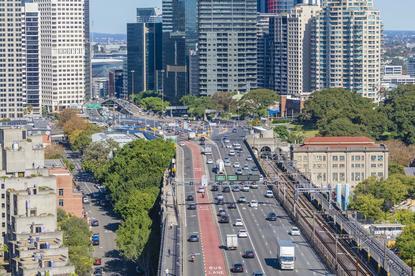 The state’s transport and infrastructure minister, Andrew Constance, said upgrading Sydney’s Transport Management Centre (TMC) will help reduce the time it takes to respond to traffic incidents by automating manual processes. “The goal is to predict 30 minutes into the future and act in five minutes – this helps to divert traffic, coordinate public transport and provide real-time information to customers about any disruptions or alternative routes,” the minister said. The new system will be delivered in 2020. The program includes a $50 million contract with Opal card operator Cubic Transportation Systems to build “an advanced multi modal transport platform” that will replace the current traffic management system that was rolled out for the for Sydney Olympics in 2000. The five-year, seven month contract with Cubic is focused on rolling out an intelligent congestion management program (ICMP). The contract includes options for two three-year extensions. Cubic said that the new congestion management system will deliver real-time transport information and improve the monitoring and management of NSW’s road network. The new system help coordinate the public transport network across all modes, Cubic said, and aid in responding to incidents and dealing with major events. The company said that it would work with WSP, PTV Group, Mentz and Microsoft to “provide and support a technology platform integrating the operational management systems for all modes of transportation in the Sydney area, coupled with the most up-to-date data, statistics and intelligence on transport operations”.